If you have any questions or want to enquire about dates, use our form to contact Marylynne Morris & Gillian Purcell or see their website for more information. Let the peace enter your soul at the end of the winding road. Here are three cottages in a fabulous olive grove near the largest man-made lake in Andalucia (in which you may swim). Sisters Marylynne and Gillian, delightful, helpful, generous, bought the old farmhouse after a trot round the globe. Snug, simple and individual, each cottage has a private entrance and a courtyard; cheek by jowl, they interlink beautifully for larger groups. One is open-plan and flooded with light, another has old low ceilings and an inglenook feel; Perdiz and Liebre (our favourites) sport Moorish sofas. All are charming inside: terracotta tiles, white walls, bright fabrics, spotless bathrooms. No neighbours detract from the peace, but you can stroll through the olive groves to the local shop, or stock up at farmers’ markets and fire up the barbecue. Bask on a wicker lounger by the pool and relish the views, or play pétanque on the sand court. Borrow a bike, rock climb or ride, take binoculars for the birds – you may hear the nightingale sing. There’s even a wonderful restaurant close by: the cherry on the cake! Minimum stay: 3 nights on weekdays. 3 nights at weekends. 3 nights in high season. Christmas, New Year, 1 November - 31 December, 1 January - 15 March. We had a wonderful stay here. The apartment was lovely and we had everything we needed. Gillian and Marylynne were excellent hosts and nothing was too much trouble. If you’re looking for a peaceful and quiet location to relax then this is the place. There are lots of places to visit in the area, nice countryside and walks, hiring a car is essential. Lovely secluded location and still only an hour or so away from Cordoba, Granada and Malaga, all of which provide an authentic Andalucian experience. We highly recommend staying here. Such a haven of peace and happiness. Gillian and Marylyne are really wonderful hosts: discreet and attentive to everyone’s comfort and needs. And our rental property: simply perfect (equipment, bedding, and really pleasant décor), so you feel very happy indoors… But how could you resist the beautiful pool boarded by olive trees!!! Inside and out, peace and happiness everywhere indeed. We stayed here after a hectic spell of sightseeing and we couldn't have picked a better place to unwind. 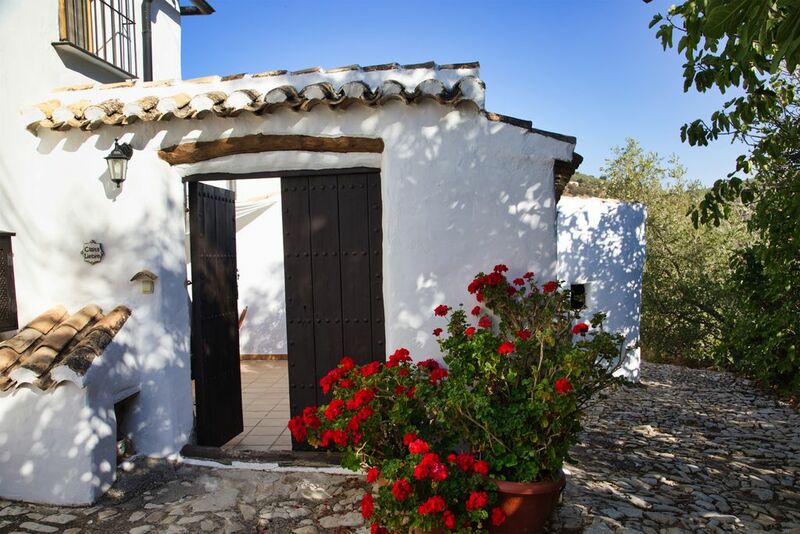 Cortijo las Rosas is in an idyllic spot amongst olive groves with no near neighbours but village shops only a 20 minute walk away. Great to watch the swallows skimming the pool. Gillian and Marylynne are the perfect hosts, always on hand but never intrusive. The welcome pack of provisions was excellent as was the local information and routes to get to places. We stayed in Casita Liebre, beautifully furnished in a traditional style, it was spotlessly clean and very comfortable. Las Rosas is the perfect antidote to urban stress and email addiction. I absolutely love going there! I feel as if I've got younger each time. Favourite things include: early morning swims, a glass of wine at sunset, watching the swallows dip down to the pool, beautifully clean and comfortable bedrooms, lovely and dark at night, incredible starry skies, and so quiet that you can easily oversleep! One late spring visit, it was cold at night. So we fired up the wood stove and transformed the evening in minutes - more usually it's blissfully warm.Hilly walks with grand views.Highly recommended. The perfect getaway place.We first stayed at Las Rosas in 2010 and have been back about 5 times.Every visit has been magical, with lots of sun to go with the amazing views.There are 3 casitas which share a pool and a sun terrace, but there is plenty of room and it doesn't seem crowded.We've stayed in 2 of the 3 casitas, which are beautifully kitted out in a way that reflects the traditional style of rural Spain, but with large comfy sofas! There is an optional welcome pack which is excellent value for money.The owners, Marylynne & Gilly, live on site and are splendid hosts with lots of advice. Not enough superlatives for this place! We stayed in Liebre with 2 young children and has the most amazing time. The weather was pretty poor, normally in a rental house that could be miserable, but not here; a cosy fire was roaring when we arrived, thick duvets, blankets and heating. The owners kit the fire for us everyday we went out, sucha thoughtful touch. The house is beautifully furnished and lit and I cannot wait to return. We explored lots in the local area, the owners had lots of recommendations to help us. Such good value too. This is a wonderful location for a peaceful holiday, completely away from it all. My husband and I stayed here for two very relaxing weeks in April, during which time we both had significant birthdays. Gillian and Marylynne could not have been more helpful. They recommended restaurants, organised birthday meals and surprises and suggested lovely locations to visit. All the casitas are sympathetically decorated and maintained to a comfortable standard with private courtyards. From the pool and patio there are stunning views of olive groves on hillsides. It was a stunning place to stay. The casita Liebre at Cortjio Las Rosas was delightfully furnished to the highest standard. Great care had been taken to make the accommodation as comfortable as possible. The location is beautifully quiet with wonderful views. Gillian and Marylynne were very helpful in every respect even completing a supermarket visit because of our sunday arrival! They contributed invaluable information about the locale and the outstanding places one wants visit in Andalusia, while being discrete. The Casita's courtyard was perfect for sitting in the morning sun, or under the stars at night. We have had a wonderful holiday in a beautiful location, everything thought about to make it home from home down to minute details , very well appointed comfortable apartments . Although rural very easy to get to lots of interesting places. Gillian and Mary Lynne were very helpful on local information including routes, parking and places to eat. The pool and garden surroundings were lovely and well maintained, very peaceful and tranquil. We thoroughly enjoyed our stay,thank you. We had fantastic stay at Las Rosas in casita Perdiz. From the moment we arrived we were made to feel so very welcome. The casita was beautiful, with great attention to detail, and with everything we could possibly need. Our children, 17 and 11, loved it all, as did we...the peace and tranquility, the lovely pool with spectacular views, the outdoor dining and the wealth of games and inflatables available! Gillian and Marylynne were incredibly helpful, and have an indepth knowledge of the everywhere there is to go for a great day out. Las Rosas is a very special place to stay, and hard to beat. What a super place! Hidden away amongst the olive groves, a tranquil spot, lovely pool, well equipped & maintained casitas. Our hosts were charming and provide you with so much information about the local area you can really make the most of your holiday and do as much or as little (it was very hot!) as you want. Their directions invaluable! Perfect holiday for us and our daughter. We will be back and would wholeheartedly recommend this beautiful place. The farmhouse nestled amongst the Olive groves has been lovingly restored. Gillian and Marylynne have thought of everything from the fantastic welcome pack, to their advice on places to visit and local restaurant recommendations, such as Casa Piolas which provided a memorable dining experience. Casita Liebre was spotless, comfortable and well equipped with thoughtful attention to design detail evident throughout. The casita is perfect for a peaceful relaxing holiday lounging by the pool while being within easy reach of Alhambra, Cordoba and Malaga on the coast. Thankyou for a magical holiday. This is a wonderfully atmospheric and amazingly maintained property. Situated (in the best possible way) in the back of beyond, it makes the best possible hide away. 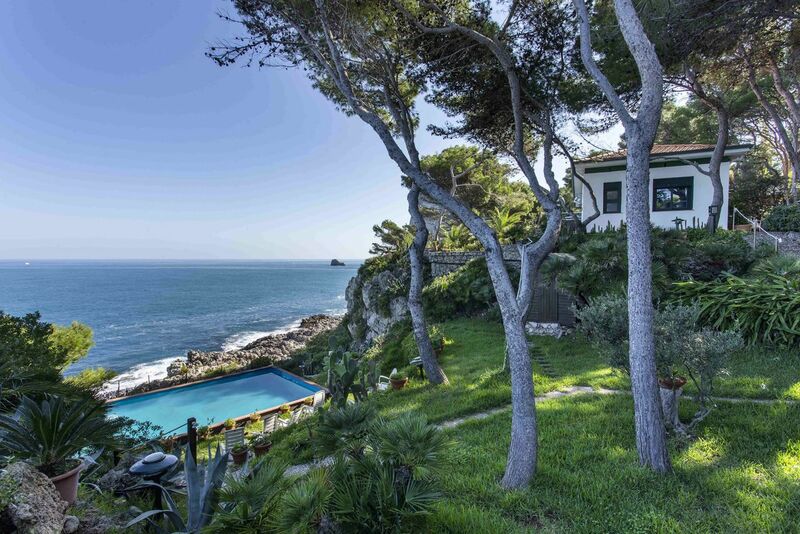 Surrounded by olive groves and with wonderful gardens of lavender and geraniums it is the sunny Mediterranean property every northern European dreams about. We loved everything about this place, the peace, tranquillity and the setting. The facilities were excellent, nothing missing every need catered for. The house/apartment was clean and extremely well looked as well as being the best equipped we have ever stayed in. Marylynn & Gillian were around with lots of advice and information if you needed it but kept their distance otherwise. You need a car but the drive up the hill from Iznajar is worth it not just for the views but the welcome you receive and a stay at Cortijo Las Rosas. Spotlessly clean, beautiful location and everything you could need! We had a wonderful time here - Gillian and Mary-Lynne have thought of everything- the essentials for when you arrive, games for the kids, maps of the area etc. Our kids especially loved the very gorgeous dogs! Sometimes, you need to be forced to relax : and this place does that perfectly. A welcome pack means you don't have to worry about racing to stock up. Instead, you can slip on the flip-flops as soon as you arrive. You will need a car for the roller-coaster ride to your home in the hills, and for trips to local markets and villages, and your charming hostesses will help you choose where to go, when to go, and how to get there. Our week here was blissful. What a fabulous place! I spent a week here relaxing in the mountains. My Cassita was very comfortable and well equipped and nothing was too much trouble for Mary Lynn and Gillian. Great hospitality. The drive up isn't for the fainted hearted but stunning scenery and great fun once you've done it the first time. Felt like being in a James Bond film!!! I visited the stunning gardens in the Alhambra in Granada and discovered the ancient streets and open patios in Cordoba. Definitely worth another visit. Gillian and Marylynne’s Cortijo las Rosas near Iznajar is a real gem! I found this peaceful retreat quite by chance, lucky me! I really needed a rest and this place was perfect place to settle down, rest my brain and breath fresh air. I couldn’t believe my eyes when I arrived at their house. Once I unpacked, saw the pool and the olive trees, smell the jasmine which climbs the wall of the casita, I knew I did not want to leave. Minutes after my arrival, I extended my stay for 2 more nights. I would give a zillion stars. The hosts are brilliant, the site is magical, the environment a delight! Past the lake, through olive groves, down the track and....there is Cortijo las Rosas in splendid isolation. Very nicely restored as traditional 'casitas' with a fig tree and lots of herbs and lavender. We really appreciated the warm welcome of Marylynne and Gillian. Their advices, humor and ofcourse the lovely Welcome Pack. They were very generous, thoughtful and helpfull hosts. A relaxing and peaceful two weeks and a perfect location for sightseeing Granada, Cordoba and Seville. From March through to August, pink flamingos arrive by their thousands at the nearby lakes of Fuente de Piedra...watch the new fledglings being ringed before they return to Africa in autumn! Walk the spectacular "Camino del Rey" suspended above El Chorro Gorge (booking necessary)... Spring birdlife all about you. Explore our local senderos (walks) especially the “mesa” where recent archaeological excavations by the University of Granada have found “possibly the best preserved chalcolithic wall elevations in Europe”. April means exploring our arroyo for wild orchids; flinging your windows open and listening to the nightingales - or hold out until May for punnets of fat, juicy cherries from our neighbours Piedad and Paco.